SANTA ANA, Calif., May 31, 2017 /PRNewswire/ -- Enpowered Solutions, LLC, a leading provider of customer-focused energy efficiency and commissioning services and solutions, announced that it is expanding services through the acquisition of certain professional services contracts and related employees from EnerNOC (Nasdaq:ENOC). This growth enables Enpowered Solutions to better serve the needs of their commercial and institutional customers throughout the US. Enpowered Principal and Co-Founder Staffan Akerstrom stated, "We are very excited to bring this team to our company. They are a tremendously talented group of energy efficiency and commissioning professionals that will complement our own team very well in both skills sets and locations." With this acquisition, Enpowered will expand its offices in Santa Ana, CA and add new locations in the San Francisco Bay Area and Chicago. "This investment represents an important strategic opportunity to offer our renewable energy and engineering services to the acquired client base, while bolstering our ability to provide commissioning services to our current customers," stated Enpowered Principal and Co-Founder Shiva Subramanya. Many of the acquired contracts and employees were originally part of Cogent Energy, which was founded in 2003 by Enpowered Solutions Senior Executive Tom Riley and then acquired by EnerNOC in 2009. "I am thrilled to be reunited with some of my former colleagues and customers and look forward to using this acquisition to bring Enpowered to the next level," Tom Riley stated. "Having a high-quality, trustworthy services partner is a critical ingredient to any energy management strategy. We are excited to see this team continue to deliver exceptional value to customers under the Enpowered brand," said Tim Healy, Chairman and CEO of EnerNOC. Enpowered Solutions is a leading Energy, Engineering, Commissioning, and Controls company that provides customer-focused consulting services to commercial, industrial, institutional and utilities across the US and Canada. 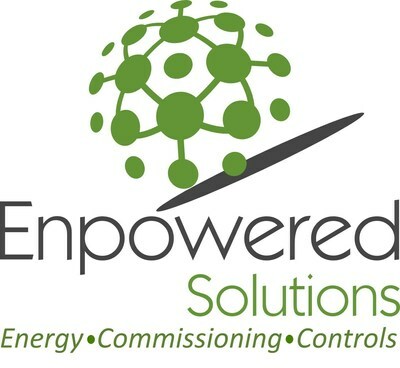 Enpowered Solutions is a single-source provider of energy and engineering consulting services aimed at improving energy efficiency, enhancing control of energy assets within buildings and manufacturing, and ensuring that system operations are optimized through retro- and new building commissioning. For more information, visit www.enpllc.com.